Filmmaking legend Roberto Rossellini brings his passion for realism and unerring eye for the everyday to this portrait of the early years of the reign of France’s “Sun King,” and in the process reinvents the costume drama. 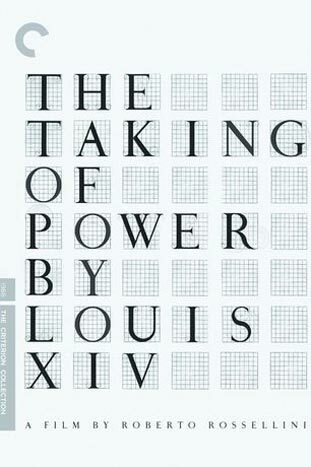 The death of chief minister Cardinal Mazarin, the construction of the palace at Versailles, the extravagant meals of the royal court: all are recounted with the same meticulous quotidian detail that Rossellini brought to his contemporary portraits of postwar Italy. The Taking of Power by Louis XIV dares to place a larger-than-life figure at the level of mere mortal.